Get a Walking Horse Fixed Cheek Waterford Mild Port Bit today at Horse Tack Now. This specific model of Walking Horse Bit that we have to offer is also made with impeccable craftsmanship. This item measures 8'' shanks and Waterford is also known since it increases severity. 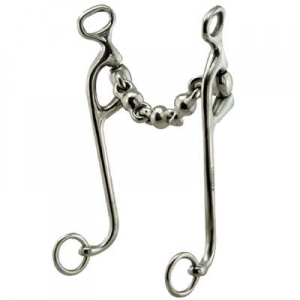 As horse enthusiasts ourselves our number one priority is to offer our customers Waterford Bits which we believe are made to last and available at affordable prices.